​Here at Cheves, northbound US 17 went to the right. 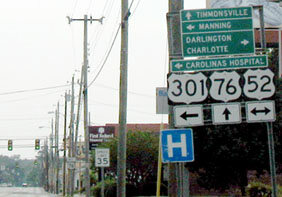 The south beginning of US 601 was to the left on Cheves -- after one block, traffic was directed north again via Coit Street. 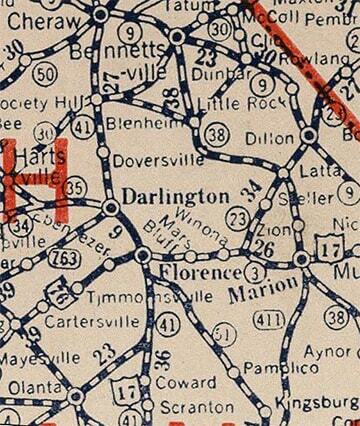 It was not long before highway designations in Florence changed quite a bit, and since the mid-1930s all of Florence's US routes pass through (rather than end in) the city.